When you’re spending quality time on the basketball court, the last thing you wanna be doing is standing around checking out the scenery. And since most courts are wedged between city buildings, you’re really not missing out on much. 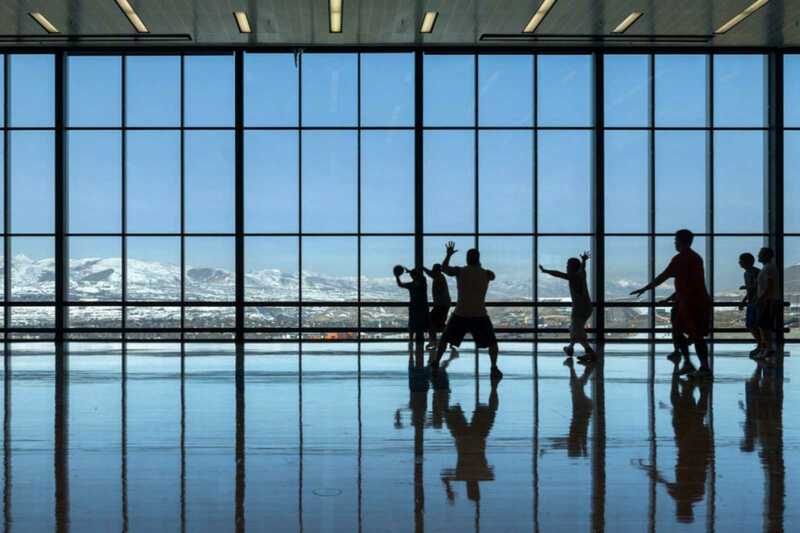 But there are a few basketball courts scattered across the world that boast some amazing views. These are the kinds of courts where you won’t mind hanging out on the sidelines for a while so that you can take in the amazing views around you. So, if you’re a basketball fan looking for something unique to add to your bucket list, then I suggest you aim to check out all of the courts below in your lifetime. 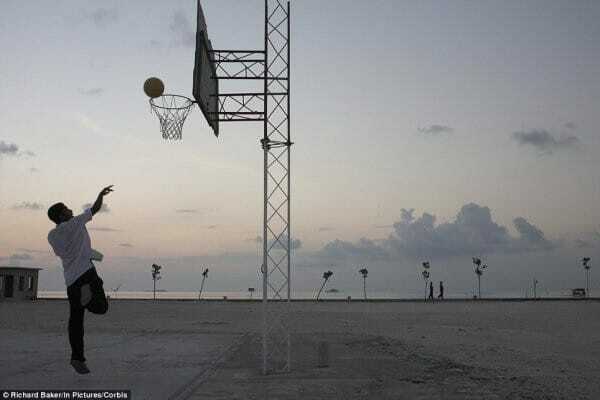 Imagine playing a little basketball while breezes from the Pacific keep you cool. 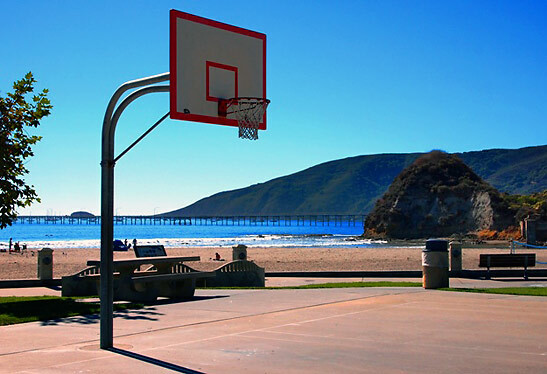 This awesome court is just a few steps from the water and one of the best kept secrets in Southern California. At this resort, you can vacation in paradise and get in a few games of Horse with a buddy. Or, just hang out on the sidelines and catch an amazing sunset. 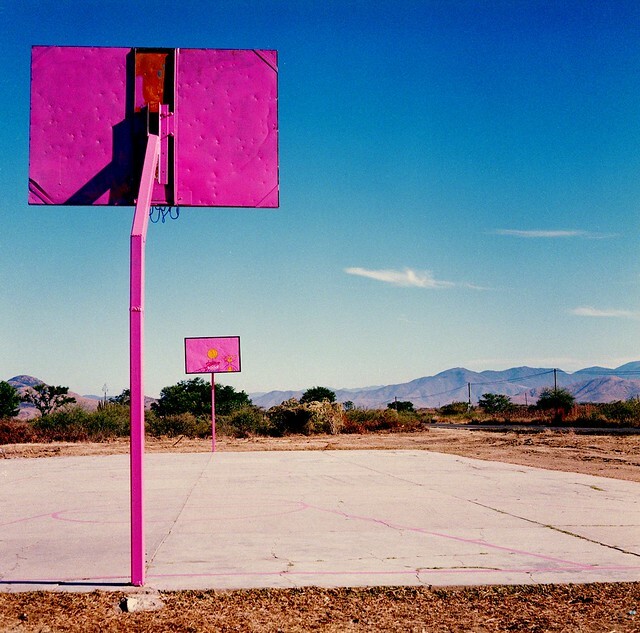 This iconic basketball court has appeared in countless Hollywood movies and is always packed with top talent. Definitely worth checking out if you find yourself visiting Los Angeles. 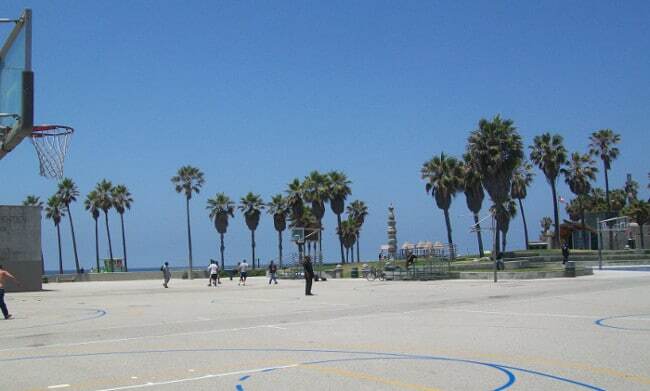 Another great view from a basketball court located on a public beach. So, if you’re in Florida, this is definitely one to check out. If you’re planning a vacation to Puerto Rico, then staying in this condo gives you access to the cool beachfront basketball court. 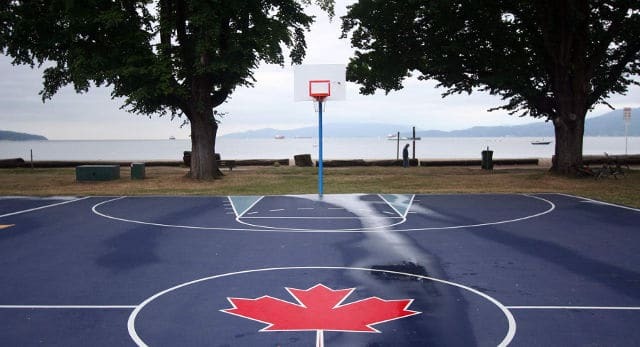 Though Canada might not be the first place to spring to mind when you think of basketball courts by the water, but there is no denying that this one offers amazing views. Find this beach front court in the Central Coast area of California, about midway between Los Angeles and San Francisco. 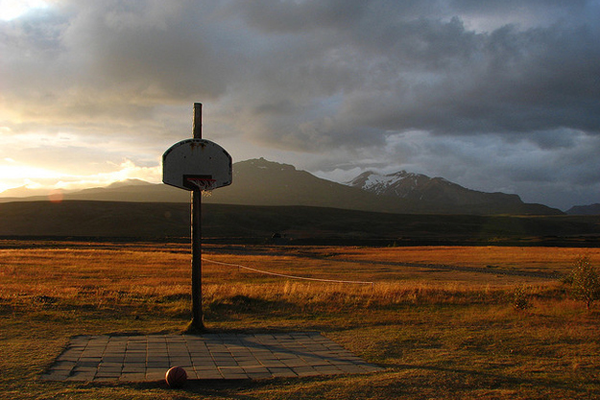 Yeah, this looks like a pretty remote area where your basketball game will be a game of one. But look at that snow-covered mountain in the background! Sure, it doesn’t have those amazing water views, but you can’t deny that the desert mountain scenery here is pretty great. 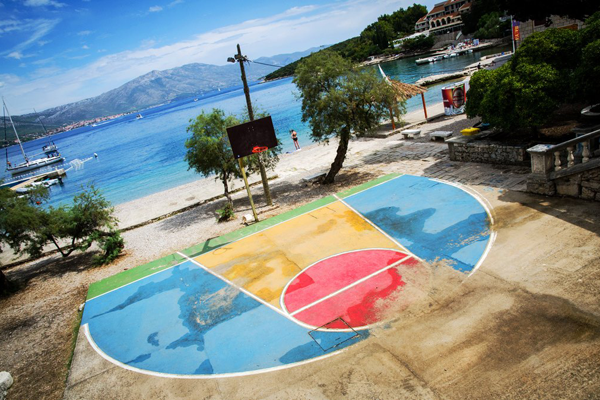 This is another great tropical basketball court…complete with it’s own horse. Sorta gives a whole new meaning to playing horse, eh? Though this court is in a city, you can beat that unobstructed view of Toronto’s CN Tower. This well-known basketball court in Harlem offers great views of Manhattan while you shoot some hoops. And it puts you in the perfect location for a hearty after-game meal at Sylvia’s. 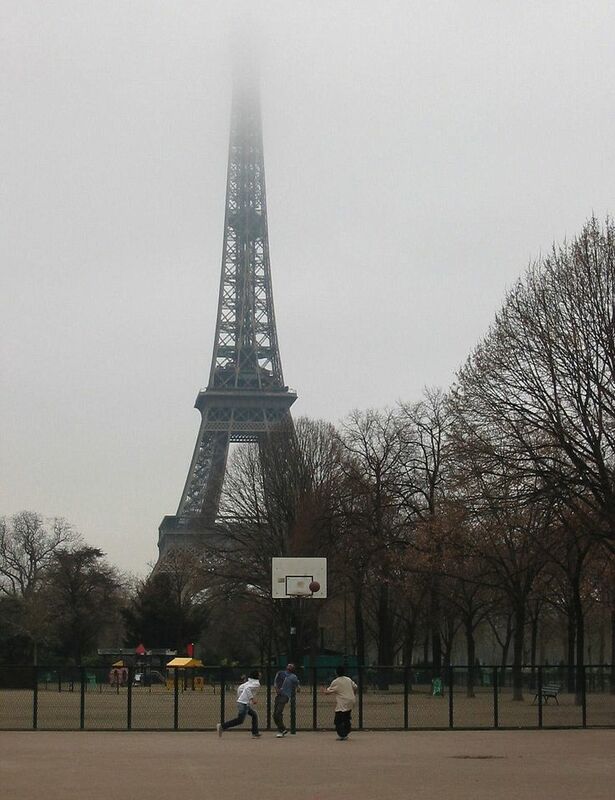 What better way to work off all those French pastries than getting in a game on this court with amazing views of the Eiffel Tower? Mountains AND palm trees! 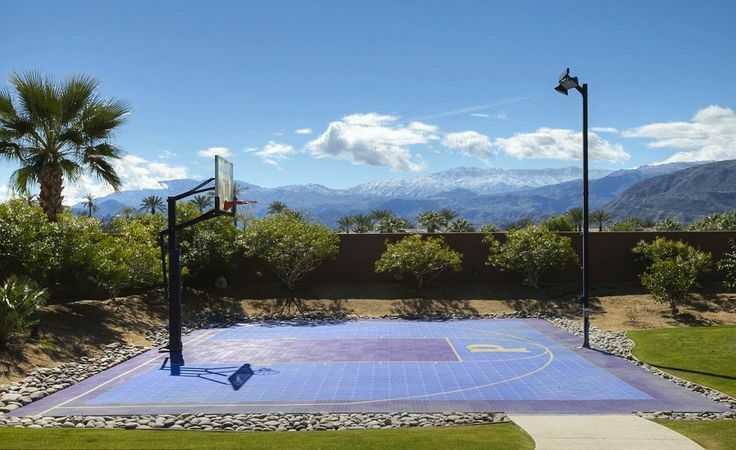 It’s the best of both worlds when you check out the view from this Palm Springs basketball court. Here you can take in the lush island greenery while you shoot some hoops. If you’re visiting the Maldives, you can find this court with the awesome views of the Indian Ocean by the Cyprea Marine Foods processing factory. Located near Athens, staying in this AirBnB villa gains you access to the court with the amazing views of the Aegean Sea. For rates starting at $90,000 per month (!! ), you can enjoy the nice views of Maui when you rent this luxury estate. 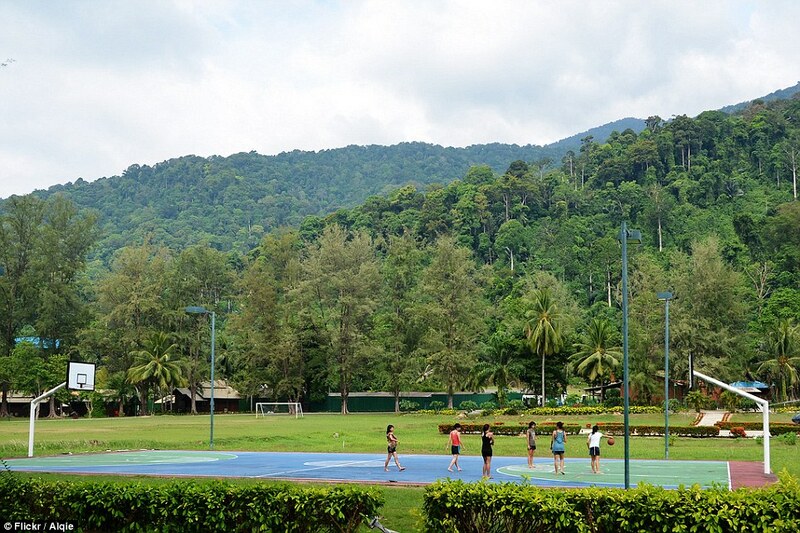 Careful not to get distracted by the lush scenery and lose your ball when you’re playing on this court! You can play some hoops on it when you rent this luxury villa. 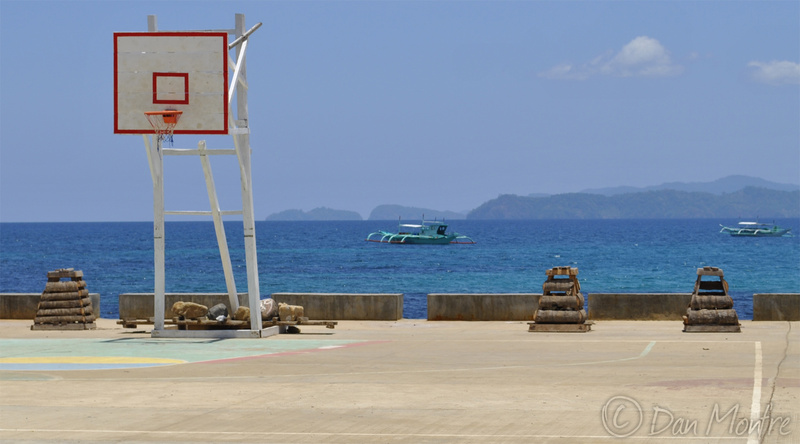 Known as the “basketball court at the end of the world,” this one is located in the small village of Sabang. When you’re done sweating it out on the court, you can enjoy a refreshing coconut drink on the beach. Spend a few nights at this hotel and you can enjoy the view of those turquoise waters while you shoot some hoops. 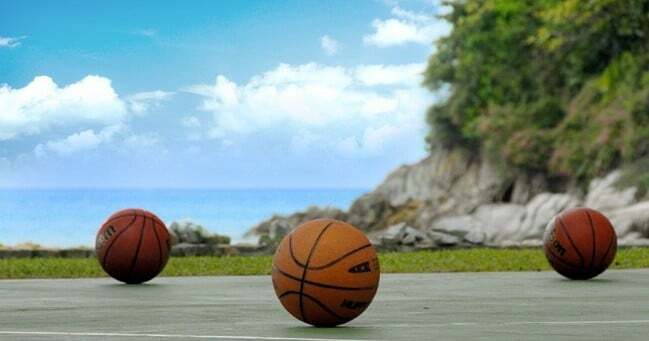 If you prefer river views to sea views, then this southern Australia resort has the perfect basketball court for you. If the game isn’t challenging enough for you, the rocks on this Scottish basketball court makes it more of an extreme sport. You’ll probably need more than some knee sleeves to stay injury-free here. If you work for them, you can take in some stunning mountain views from the Adobe Utah campus. time for a new job, anyone? 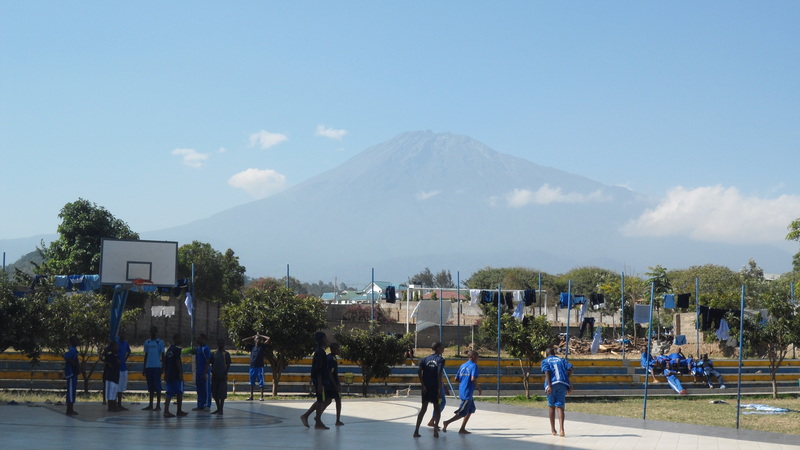 Sure, it’s technically part of a private school so you probably can’t join a pick up game here, but you gotta admit that the view of Mount Meru is pretty awesome.